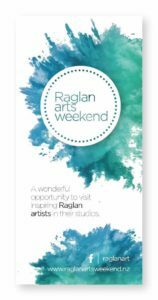 Raglan Arts Weekend 2019: Easter – April, Saturday 20 to Monday 22. 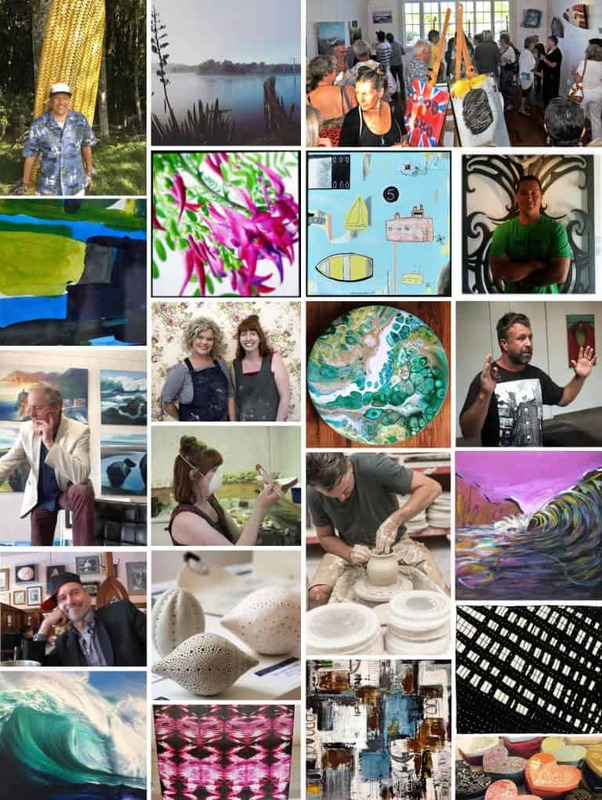 The Raglan Arts Weekend open studio tour has been an anticipated annual event on the Raglan Arts Calendar since 2009. It features over 30 artists working in an exciting and diverse range of media from carved surfboards to ceramics, jewellery, glass bead making, photography and recycled metal sculpture as well as more traditional methods. The hub of the event is the Old School in Stewart Street. Visitors, you are encouraged to make this historic building your starting point for the Weekend. If you haven’t already picked up a brochure from the Information Centre in Wainui Road, just head across the road to Stewart Street where you can view an exhibition of work from all participating artists and plan your “arts trail”. The exhibition includes smaller works donated by the artists and selling for just $200. These are quickly snapped up so get in early. Sales of these pieces ensures the Raglan Community Arts Council has the funds to continue organising this annual event and its work as an umbrella organisation for the Arts in this vibrant coastal Waikato community.